Consumers Can’t Get Enough of Social Media! California Credit Union Supports Consumers and Businesses in Southern California. 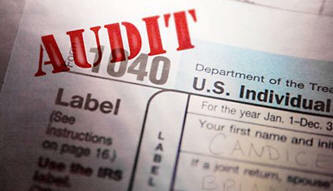 How to Survive an IRS Audit! Fort Knox Federal Credit Union Champions Financial Loans for Consumers in Kentucky and Ohio. Are you worried that consumers are burned out on social media? As it turns out, they just can't get enough. They're hopping online first thing in the morning, seeking out brands and businesses, and eager for even more online interaction with companies. No wonder small businesses that are actively engaged online have higher sales than companies that are not. Here's a closer look at some of the latest small-business surveys. When consumers jump online each morning, where do they go? A new study by ExactTarget found that 58 percent go to e-mail first, 20 percent hit the search engines and 11 percent start on Facebook. "Consumers who check e-mail first tend to be more task-oriented and interact with brands across e-mail and social media to obtain deals, promotions or new product information," says ExactTarget's Morgan Stewart. Those who start with Facebook tend to "become fans of brands for entertainment purposes or to show support for a company or product." 93 percent of U.S. online consumers subscribe to e-mail marketing messages. 2 percent of U.S. online consumers use Facebook at least once a day; of those, 69 percent have fanned at least one company. 43 percent of U.S. online consumers are fans or followers of at least one brand on Facebook or Twitter. You'd think people might be cynical or overloaded by the involvement of brands and businesses in social media. But a new survey of 3,000 U.S. social network users by ROI Research found that consumers actually want more online offers and information from brands. The survey, reported in MediaPost, found that 40 percent of respondents use social media to connect with brands and products. Thirty-seven percent have learned about a new product or service from a social networking site, while 32 percent have used social networks to recommend a product or service to friends. Thirty-two percent of Twitter users retweet content from companies and brands and 50 percent of Facebook users click on Facebook ads to "like" a brand. But that's not all -- 49 percent said they want more downloadable coupons, 46 percent want more notifications of special deals, and 35 percent wanted more information about new products on Facebook. Companies that are actively engaged online report higher sales, according to a survey by American City Business Journals. The survey of 1,762 small-business owners and executives divided respondents into five "personae" depending on what activities they regularly engaged in online. The most passive Viewers use the Internet mostly for entertainment, not for business. Commentators are active on blogs, but not much else. 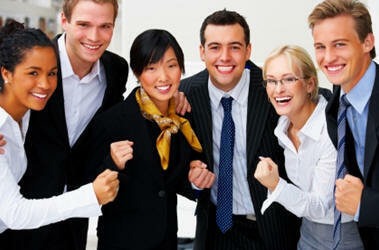 Interactors go online to follow business news and buy products and services. Investors go online to make investments and perform banking transactions. Finally, Transactors use the Internet for just about every business purpose -- to research the competition, buy products and services and sell to and service customers. Although Interactors and Investors reported good sales as well, Transactors had the highest sales of all five categories -- proof that maximizing the Internet's many business uses can truly pay off for your company. Rieva Lesonsky is CEO of GrowBiz Media, a content and consulting company that helps entrepreneurs start and grow their businesses. Follow Rieva at Twitter.com/Rieva and read more of her insights on her blog, SmallBizDaily.com where you can sign up for her free TrendCast reports. California Coast has a long history based in member service that continues today. As the oldest credit union in San Diego, California Coast has been serving members since the day it was founded in 1929 by a group of educators. Through the years, our credit union has greatly expanded through individual members and mergers. Our founding members also include Solar Aircraft Employees in 1939, followed by telephone employees in 1947and many more. The credit union's financial stability and reputation for outstanding member service continue to attract members who appreciate the benefits of membership. In 2008, California Coast joined with First Future Credit Union in a historic merger of equals. First Future also brought a proud history, serving members since 1939. The result is an even better California Coast Credit Union. The credit union now offers over 20 branches, competitive deposit rates, lower loan rates, additional services, enhanced technology and the same friendly, knowledgeable staff whom members know and trust. Today, California Coast Credit Union is over $1.7 billion strong and serves more than 120,000 members. Although most members live in Greater San Diego and Southern Riverside Counties, members have access wherever they live, work or travel through Cal Coast Online, a shared branch network of more than 5,000 locations and over 2,000 self services locations as well as more than 30,000 surcharge-free ATMs nationwide. At California Coast, we have your best interest and are committed to the credit union mission of "people helping people." We know that the only reason we exist is to serve our members, and it affects every decision we make. We listen and stay in touch with your needs and opinions through member surveys, product research and focus groups. And we are constantly developing new services and innovative technology to serve you. We thank you for your loyalty, and enjoy helping you reach your daily and long-term financial goals. We all dread the thought of having the IRS tell us it wants to review a previous year's tax return. If you get audited, your best bet is to seek out a qualified tax professional. But if you're a do-it-yourself type of person, here are a few tips you can use to help you survive the audit process. Don't ignore the notice. You generally have 30 days to respond to an audit notice. If you don't respond, the IRS can take action, such as automatically adjusting your tax liability, and the next correspondence you'll receive is a bill. Read and follow the notice. The audit notice will give you specific information as to what items are being examined. Knowing what's being scrutinized will help you determine what you need to bring to the audit, so you can substantiate the items in question. Organize your records. Making the auditor's job easier will win you some points. The auditor will at least believe that you're an organized person and that all of your items are documented and justified. Don't be afraid to group the items in question, or attach an adding-machine tape that matches the tax return. That will allow the auditor to quickly review the important issues. Don't believe those who tell you that you can just throw your records in a bag, drop it on the auditor's desk, and shout, "You figure it out!" That just doesn't work. Remember, it's your legal responsibility to prove your deductions. Replace missing records. If you're going through your records and find that some of them are missing, call for duplicates immediately. Don't just go to the audit and claim that the records are missing or lost. That does you no good at all. At best, the auditor will request that you obtain the records. At worst, the deduction in question will be denied, since there are no supporting documents. Bring only what you're asked for. Leave at home any additional records and items not requested in the original audit notice. That way, if the auditor is curious about something else on the tax return, but the item was not on the original audit notice, you can politely tell him or her that those records are at home. It's likely that the issue will be dropped right there. Don't be a jerk! Contrary to popular opinion, all of the employees at the IRS are people, too. They have wives, husbands, and kids, and they're employed at the IRS because they're working in their chosen profession. And make no mistake -- they are trained professionals. Taking out your frustrations on an auditor will get you nowhere. Insulting the auditor verbally will not solve any problems. And assaulting one physically is a federal offense. Remember, these people are just trying to do their jobs. Be courteous, even if the auditor is not courteous to you or seems unreasonable. If you arrive at the audit with a large chip on your shoulder, you might make the auditor less willing to see things in your light. Provide only copies. Don't bring original documents to the audit. If you do bring originals, do not give them to the agent. Request that the agent make copies and give the originals back to you. Once you hand over your original documents, there's a very good chance that they will be misplaced or lost. Then you're the one left holding the bag, since the IRS isn't responsible for documents lost in its possession. Stay on point. The auditor will be able to obtain some valuable information in what seem to be simple and friendly discussions. Asking about an expensive new car that you might have purchased, or that vacation to the Greek Isles, might give the auditor reason to believe that you're not reporting all of your income and thus expand the scope of the audit. When you meet with the auditor, in essence, you're providing testimony. So answer as many questions as possible with a simple "yes" or "no" response. If you must expand or explain, keep it brief and very much to the point. Don't give the auditor a reason to expand the audit because of your tendency to ramble on. Know your rights as a taxpayer. Remember that an audit is like a small trial. It is an adversarial exercise. So while you can disagree without being disagreeable, you must know your rights, the audit process, and the law behind the deductions you are claiming. Settling any difference at the audit level is generally best, but if you can't come to an agreement, you have rights that allow you to request a conference with the IRS Appeals Division. Be aware that appeals officers are even more senior than agents, with much more experience and knowledge behind them. If you're making a specious argument that the tax law doesn't support, the appeals officer will quickly shoot it down. However, if the issue is complicated and your argument is founded in tax law and court cases, the appeals officer can make quick work of the analysis -- and might just find in your favor. Again, your best bet if you're audited is to retain the services of a qualified and experienced tax pro who can argue your case without passion or prejudice. Such a person already knows the most effective ways to help you quickly resolve a conflict with the IRS. Hiring such a person is not cheap, but quality services never are, and you could pay a lot more if you don't hire a professional and the audit doesn't go well. The tax code has become so complicated that you're unlikely to know the law as it applies to your tax return and your rights as a taxpayer. That's why a qualified tax pro can be worth every dollar of his or her fee. But again, for those of you who decide to go the do-it-yourself route, stick to the game plan we've discussed here. And if you ever decide to remove your own appendix, well, good luck with that, too! About Roy Lewis: When he's not dealing with tax issues, Fool contributor Roy Lewis is a motivational speaker who lives in a trailer down by the river. He understands that The Motley Fool is all about investors writing for investors. You can take a look at the stocks he owns, as long as you promise not to ask him which stock to buy. He'll be glad to help you compute your gain or loss when you finally sell a stock, though. ACC’s Friend of the Consumer Award Recognizes Mortgage Marvel with Bronze Level Award. 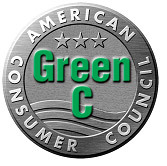 Mortgage Marvel of Mequon, Wisconsin has earned a Bronze level Friend of the Consumer Award from the American Consumer Council. 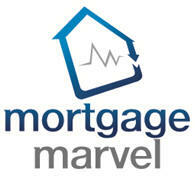 Mortgage Marvel is rooted in two simple, powerful ideas. First, for most consumers, taking out a mortgage to buy a home is the largest, most complex financial decision they’ll ever make. People need to weigh and understand the relationship between interest rates, points and closing costs to find the combination that works best for them. Second, their privacy matters, and they should be able to obtain this data without divulging all kinds of personal information. On November 22, 1950, Fort Knox Federal Credit Union was organized under a Federal Charter for civilian employees. There were 10 charter members and the Credit Union was named Fort Knox Civilian Employees Federal Credit Union. 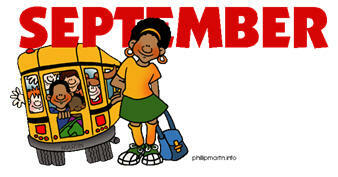 The Charter was changed on July 29, 1960, to accept military personnel into the field of membership. The name was changed at the same time to the current name "Fort Knox Federal Credit Union." Fort Knox Federal Credit Union has seen tremendous growth over the years that has allowed us to expand into many neighboring communities. Our latest addition is the Hodgenville Branch, making 14 branch locations across Kentucky in Hardin, Grayson, Meade, Nelson, Boyle, LaRue, Taylor, and Jefferson counties. Currently, Fort Knox Federal Credit Union has over 76,000 members with over $1.05 billion in assets. Fort Knox Federal Credit Union announced it will open a second Bardstown branch to be located in the Wal-Mart, 3795 East John Rowan Blvd., by the end of November 2013. The Credit Union opened a new, free-standing office in Bardstown in June 2012 replacing its Kroger Shopping Center branch. “The Wal-Mart location will be an added convenience for our many members in Bardstown, Springfield and the surrounding area,” said Bill Rissel, President and CEO of Fort Knox Federal. “We are very pleased to work with Wal-Mart and have a location in this popular retail outlet,” he added. Fort Knox Federal membership is open to members of the American Consumer Council and anyone who lives in Nelson and surrounding counties. The new Bardstown Branch will be full-service featuring mortgage and loan processing, free ATM services, and in-branch teller service along with the latest in technology including online and mobile banking. “Our new branch will accommodate members however they prefer service,” Rissel added. Fort Knox Federal, now the largest Kentucky-based credit union in the state, opened its first Bardstown branch in June 1996. “Coming to Bardstown was a clear opportunity for the Credit Union to expand its membership base and to offer comprehensive financial services to the residents of Nelson County and beyond. Since then, we have not only grown our membership here, we continue to provide more, lower cost and innovative financial services to individuals and businesses,” Rissel said. In addition to offering mortgage, home equity, auto and residential construction loans, Fort Knox Federal has commercial loans and accounts. Individual checking accounts are free with no monthly services fees and free customizable text alerts. The new facility in Bardstown is a part of Fort Knox Federal’s continuing growth. Now with more than $1 billion in assets, Fort Knox Federal serves approximately 80,000 members worldwide and currently operates 14 branches throughout central Kentucky. In January this year, Fort Knox Federal opened its first Jefferson County branch at 9915 Dixie Highway near the Meijer’s Shopping Complex. The Credit Union also opened new branches recently in Hodgenville, Brandenburg and Danville.